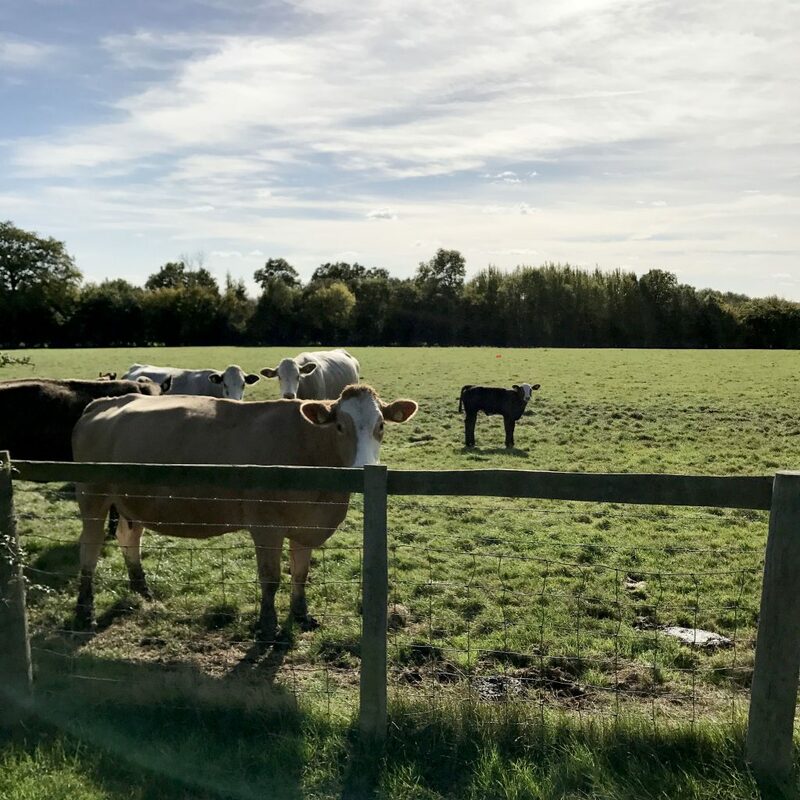 After a week of exploring London from a beautiful Airbnb in Covent Gardens, we headed out of the city to experience the English countryside. We visited three different towns, each of which got progressively smaller. 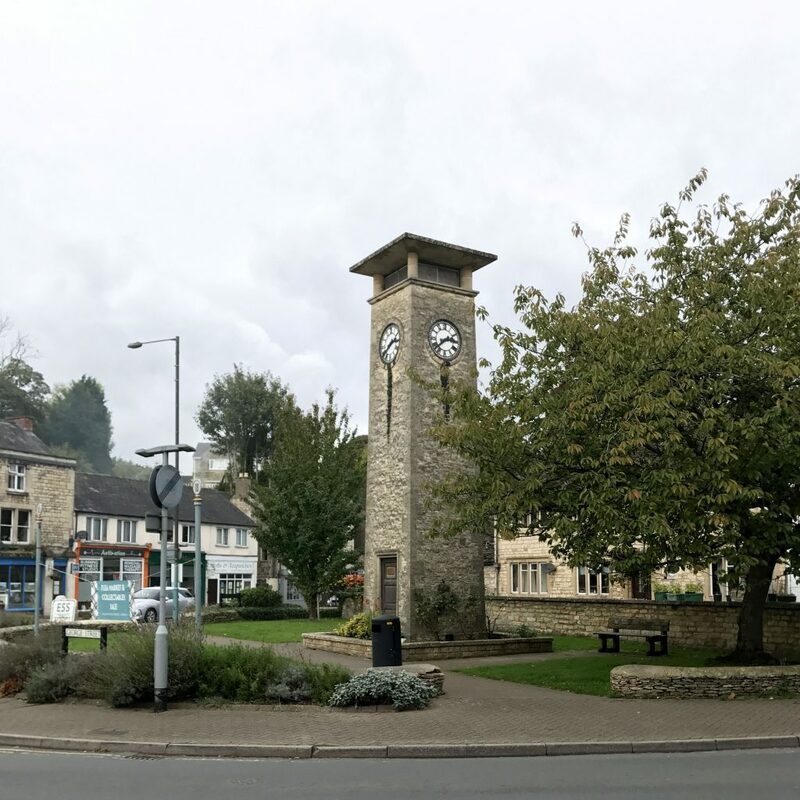 We spent a day in Oxford, a couple nights in Nailsworth, and wrapped our trip with four days in the two-street town of Benenden (not to be confused with the nearby village of Biddenden). Here were the stops that made the second half of our Airbnb honeymoon unforgettable. Not only is London’s subway system a cinch to navigate, so is the country’s network of trains which spiral out from their central hub in the capitol. In fact, the trains are so unbelievably punctual that during the one delay we did experience, the conductor immediately hopped on the intercom, offering his sincerest apologies along with a befuddled hypothesis about the cause behind this intrusive three minute delay. This infrastructure makes day trips out of London a breeze. 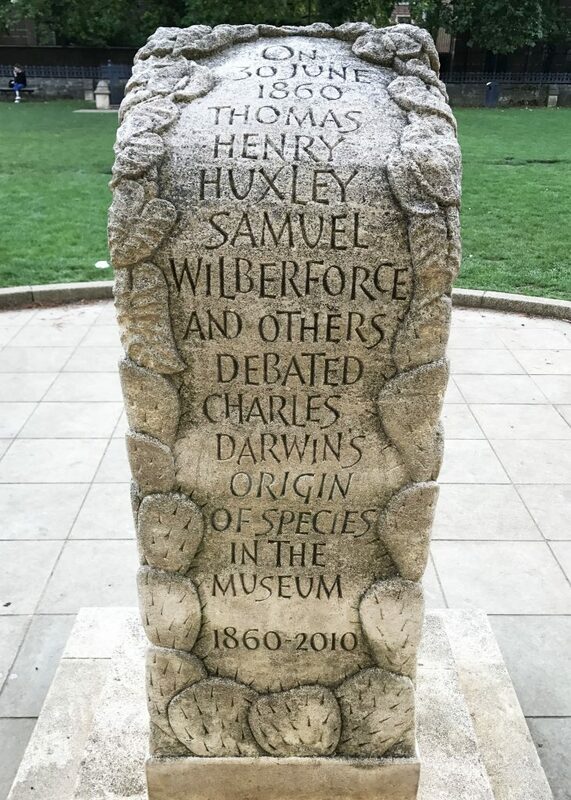 We hopped on a train from Paddington Station and emerged in the collegiate town of Oxford an hour later. The day was packed with highlights. In fact, the trains are so unbelievably punctual that during the one delay we did experience, the conductor immediately hopped on the intercom, offering his sincerest apologies along with a befuddled hypothesis about the cause behind this intrusive three minute delay. The moment we stepped off the train tracks and started to work our way towards the city center, we stumbled upon a massive castle to our right. Perhaps for Europeans, this a more routine occurrence, but in the U.S. rounding a corner to find a castle jutting out of a nearby hill is rather rare. 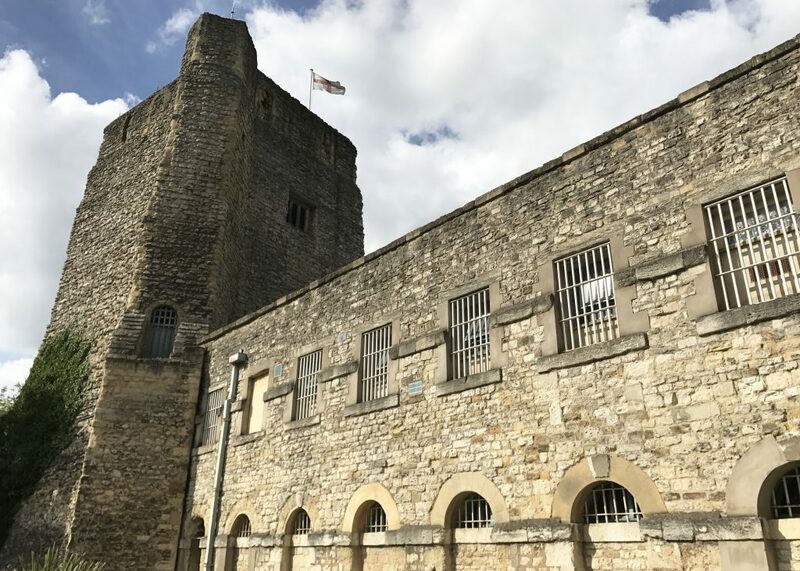 This surprise turned out to be Oxford Castle, a medieval construction that functioned as a prison until 1996. We wandered through its open grounds and discovered that it also houses a crypt. Not an impressive way to start the day. Following signs for chips and beer, we worked our way down an alley and stopped at a small pub for lunch. The Crown not only had an impressive selection of beer, good food, and a friendly staff, it also boasted the title of Shakespeare’s Oxford watering hole. 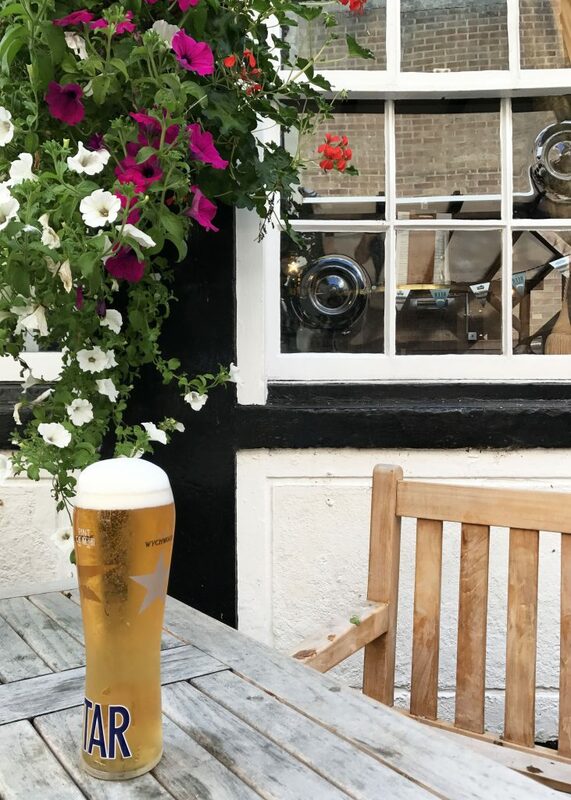 We enjoyed our lunch on this clear fall day in the secluded, flower-filled patio before venturing back out onto Oxford’s bustling High Street. 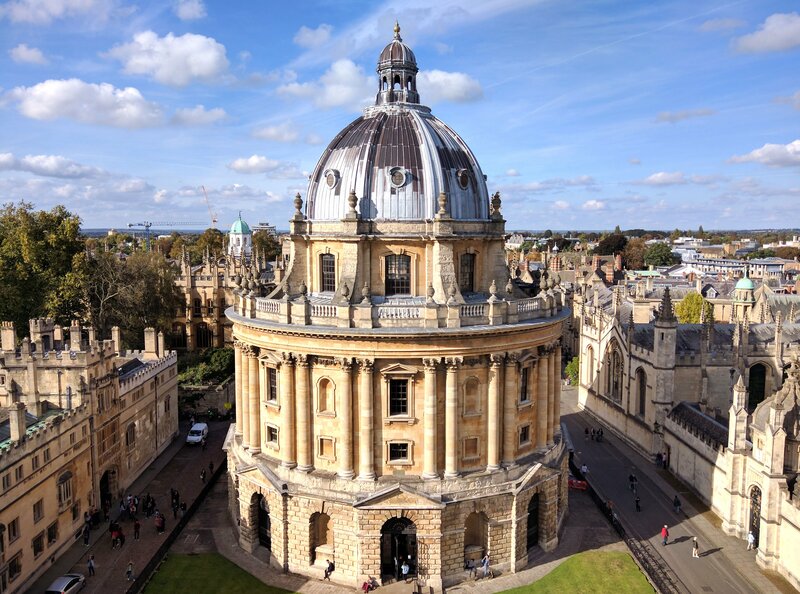 The colleges that make up Oxford University are sprinkled throughout the town, and their buildings are the gems that make each block such a joy to explore on foot. 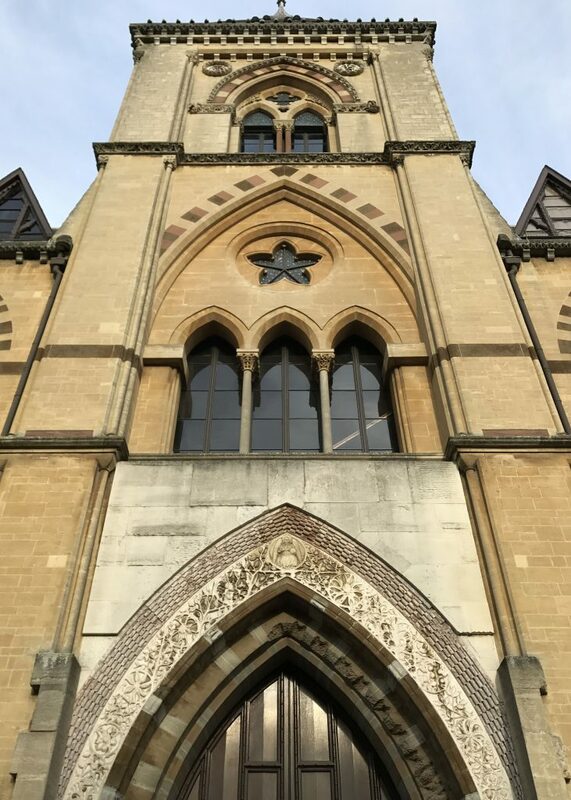 While many of the campuses are gated, certain buildings are open to the public, including the University Church of St. Mary the Virgin. 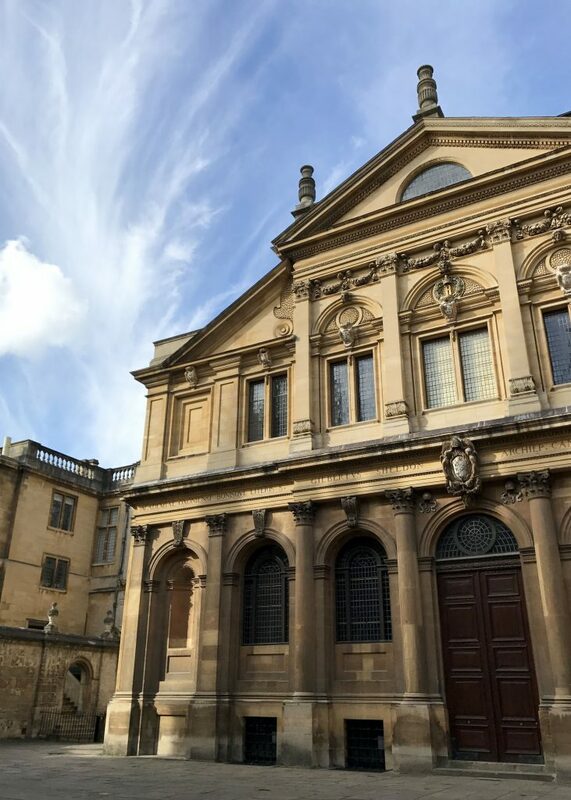 As the University took shape, initial classes were held in Oxford’s central church. 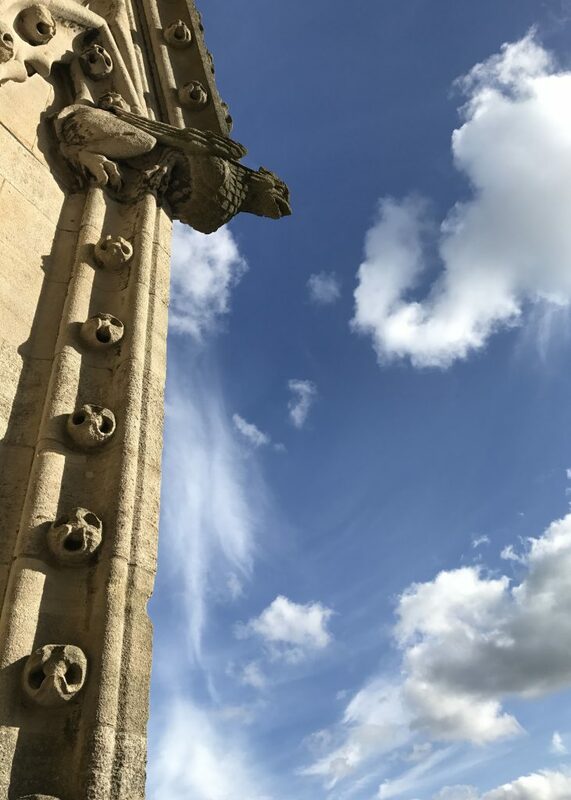 While the interior was lovely, it was the view we found at the top of the Church’s 13th century tower that impressed us most. 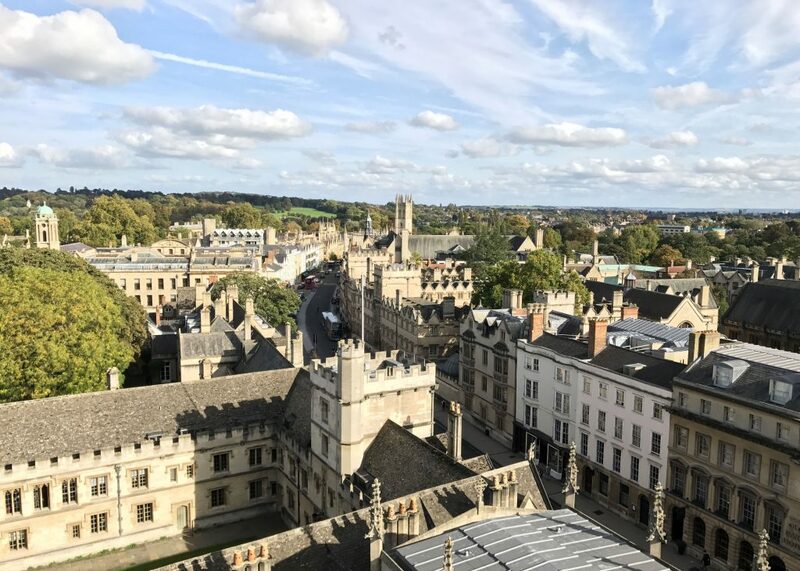 The colleges that make up Oxford University are sprinkled throughout the town, and their buildings are the gems that make each block such a joy to explore on foot. 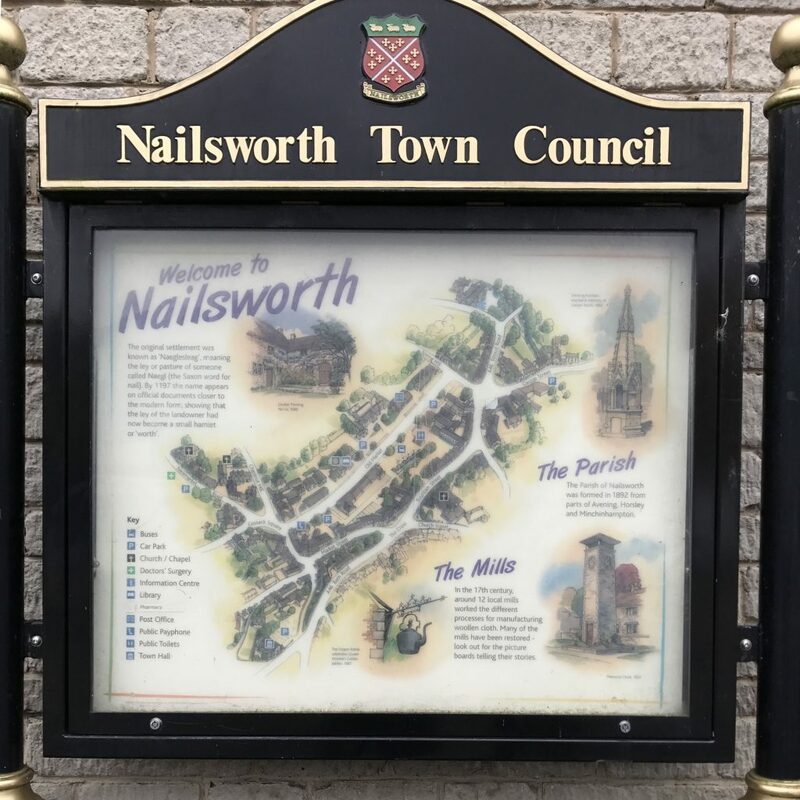 Following the discovery of the fabulously funky Airbnb, the Modern Hayloft, we made our way to the idyllic town of Nailsworth. Cobblestone streets, irresistible bakeries, and the warmest people. If we didn’t have a dog waiting for us in the States or the desire to comply with England’s visa laws, we might still be in this captivating town, probably sitting in one of these two restaurants. Located just a few yards from our Airbnb’s door was The Britannia, a broad, three-story stone inn with a beautiful garden out front. We wound up here for dinner each night we were in Nailsworth. As the sun would set and the air would get chilly, we’d make our way to this cozy pub. With low-slung beams, a wood burning fireplace, and a mix of couches and tables, it was impossible not to feel immediately at home as we walked through the door. Upon trying the homemade mac ‘n cheese, we were officially addicted to the food as well as the atmosphere. Cobblestone streets, irresistible bakeries, and the warmest people. 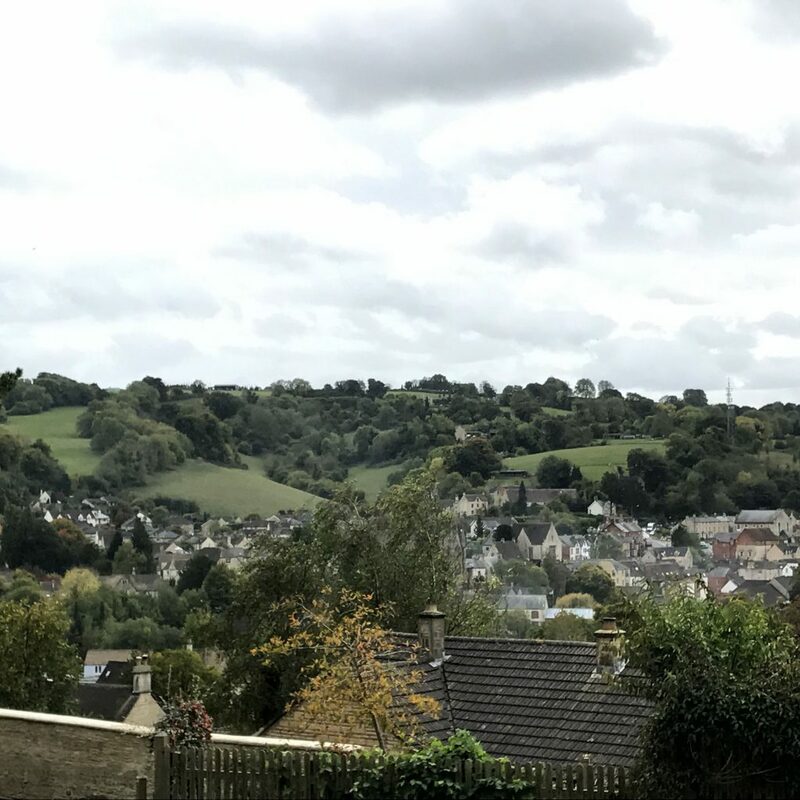 If we didn’t have a dog waiting for us in the States or the desire to comply with England’s visa laws, we might still be in this captivating town. 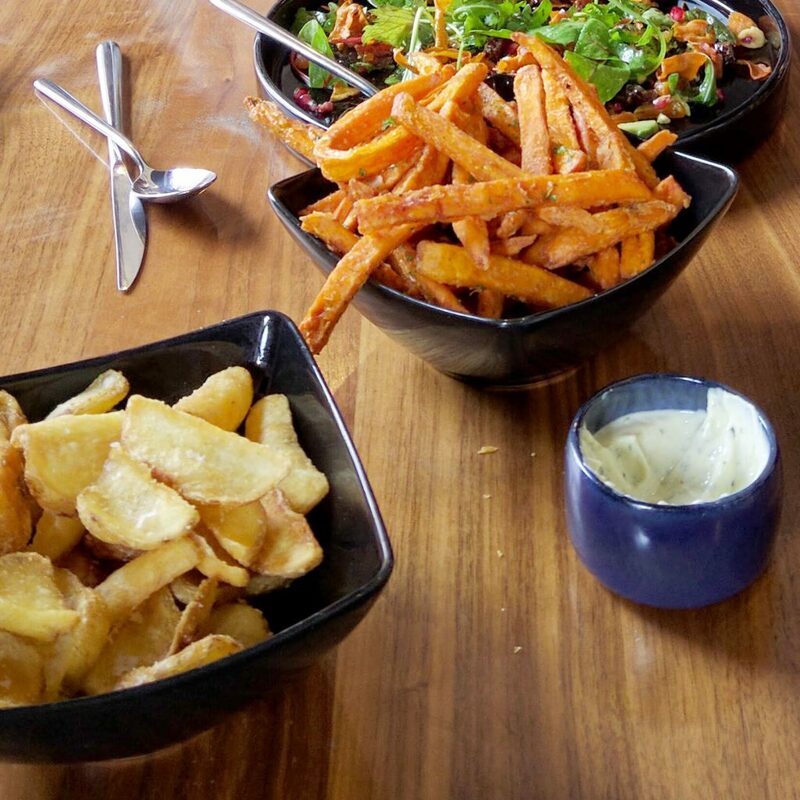 We ate an inordinate number of fries while we were in London, but our award for the best English “chips”, in both the regular and sweet potato variety, went to a spunky restaurant in Nailsworth called The Vault. 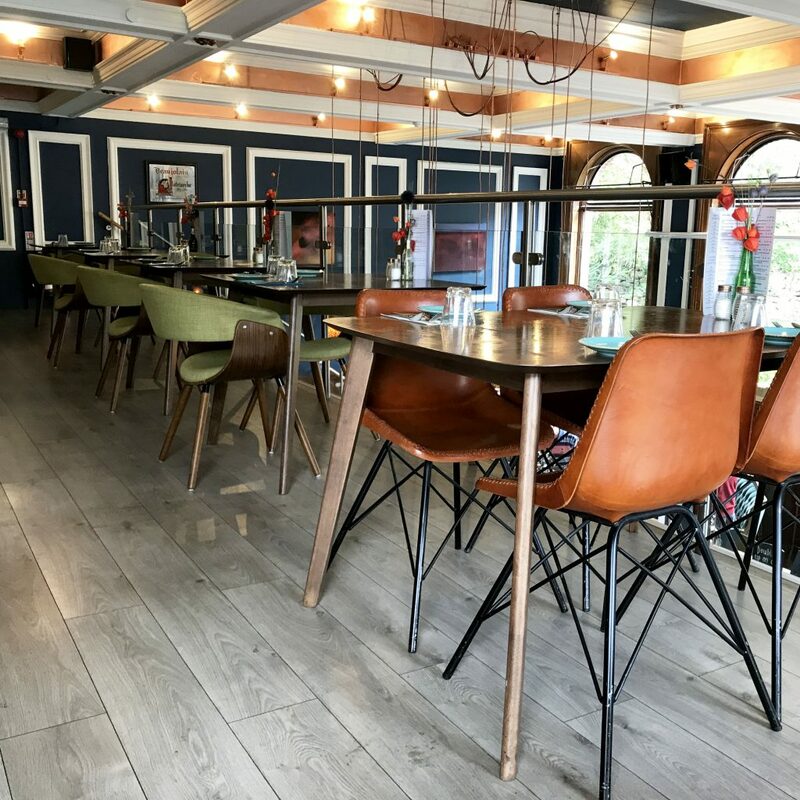 There are many things to highlight about this place: lovely service, great drink specials, the stunning navy and copper decor, the laid back atmosphere with a happy pooch curled up asleep on the couch while his owner shared a pint with a friend. But all these months later, what we are still talking about are the fries: their perfect thickness, their unique scooped cut, the crunch, even the dipping sauces. To the brilliant chef behind these dual masterpieces: thank you for bringing them into the world! The final stop on our Airbnb honeymoon holds two records to date. 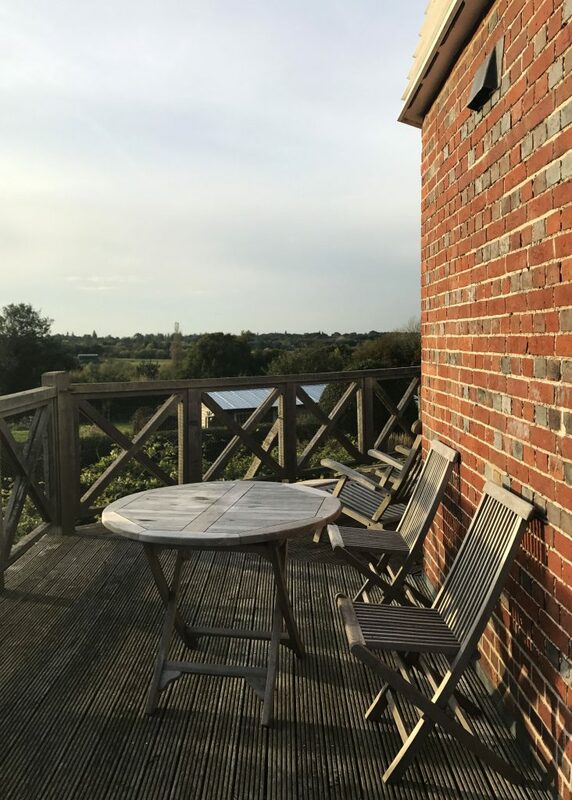 First, Benenden marks the tiniest town we’ve visited as full-time travelers and second, the Old Smock Windmill represents the most spectacular Airbnb we’ve yet to experience. (Another featured stay coming soon!) The windmill’s online description explicitly recommended having a car during the stay. However, our inability to drive on the opposite side of the road combined with our youthful (or shall we say dumb) optimism led us to trust Google when it said that the windmill was indeed accessible from London by public transportation. Here is what that actually entailed. After a predictably easy train ride out of London, we arrived in a small town called Headcorn. Down the road from the train station, we successfully found the sign for the bus we were supposed to take. So far so good. There was indeed a route running to Benenden, but the schedule was odd. This bus only ran once a week, literally at this specific time on Tuesdays. Sure enough, the bus rounded the corner at the appointed time, but the driver appeared stunned that there was anyone actually waiting at the stop. We boarded the bus to find it filled with the town’s senior citizens returning together from some weekly gathering. Church, bunko, book club, we still have no clue what the event was, but we suspect that it motivated this particular bus route, and were therefore grateful. We boarded the bus to find it filled with the town’s senior citizens returning together from some weekly gathering. Church, bunko, book club, we still have no clue what the event was, but we suspect that it motivated this particular bus route, and were therefore grateful. Their boisterous conversation came to a grinding halt as we climbed aboard with our two backpacks. We took our seats as the chit chat resumed. Given that neither we nor the driver knew the location of our front door, we took a gamble and pulled the stop string when the GPS roughly aligned with Benenden. We attempted to carefully follow along with each stop outlined in Google’s app, but quickly realized the driver was skipping the official stops and instead kindly dropping off each passenger at their front door. With each exit, the voices of the remaining passengers swelled into a farewell chorus of see you next week. Given that neither we nor the driver knew the location of our front door, we took a gamble and pulled the stop string when the GPS roughly aligned with Benenden. We got off the bus, promptly turned in the wrong direction, and continued to walk for a good five minutes before we realized our mistake and corrected course. 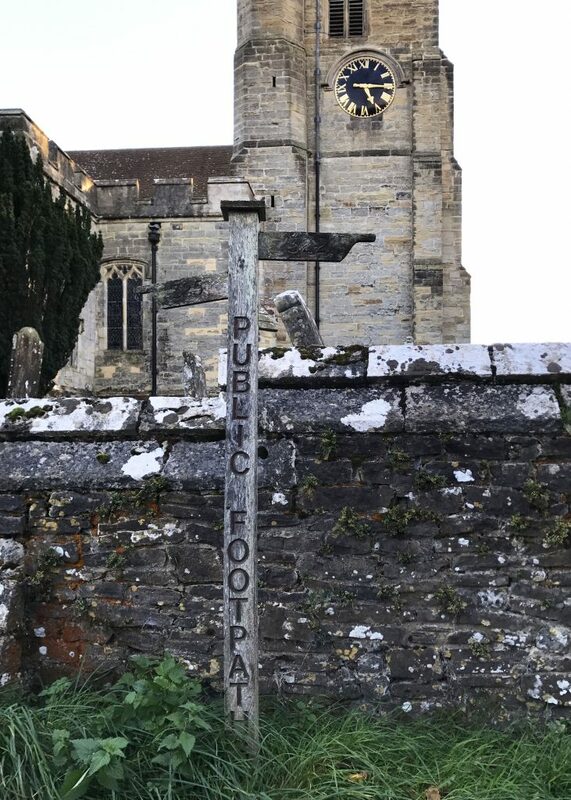 We triumphantly arrived in Benenden to find a beautiful church before an open green space and the town’s one and only pub, The Bull, on the corner. We entered this three-room inn to find an inviting bar and beautiful dining room tucked on the first floor. We made our way back here later in the week for a romantic meal. Delectable dishes and the topnotch service, we soaked in the charming atmosphere in a less travel-weary state. But in that moment, given that it was midday and the kitchen was closed, we ordered a celebratory cider and enjoyed it on the patio. This turned out to be premature celebration. According to our good friend Google, there was just one mile left and we were to take it by foot. We embarked on this final stretch only to find that just outside of town the sidewalk abruptly ends and the hedges hug the road so tightly that to avoid the cars whipping by, we needed to flatten ourselves into the greenery and twigs. With its treacherous curves and uneven ground, this one mile seemed never-ending. We saw the windmill emerge in the distance, and by the time it was life-size, we were so eager to arrive, we bolted into the wrong driveway and found ourselves standing on the other side of a cattle guard with a disinterested donkey. We saw the windmill emerge in the distance, and by the time it was life-size, we were so eager to arrive, we bolted into the wrong driveway and found ourselves standing on the other side of a cattle guard with a disinterested donkey. One more attempt down the busy road, and we finally landed in the correct driveway and climbed the stairs to the windmill. 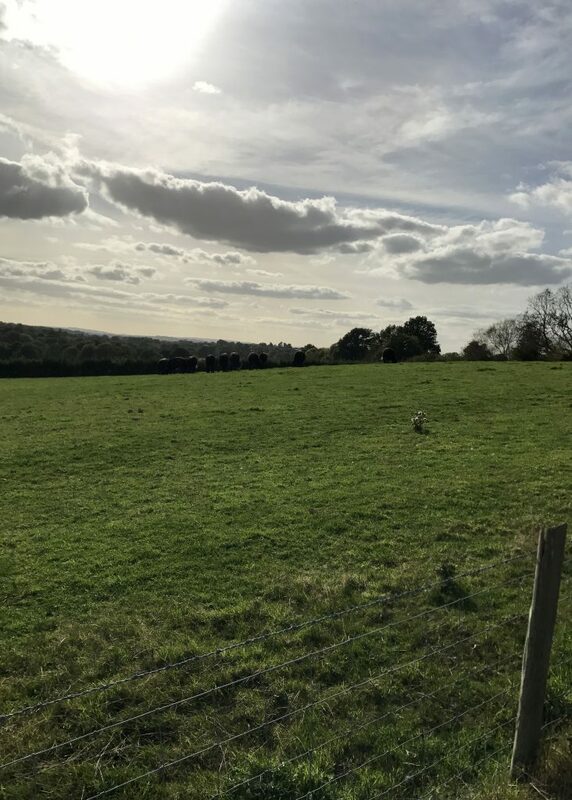 From this elevated view, we took a deep breath and soaked in for the first time the stunning beauty of the Kentish countryside. During our rather spastic journey to the windmill, we had seen little wooden signs pointing in various directions with the words PUBLIC FOOTPATH etched into them. The next day after a local taxi helped us stock up on groceries, we put back on our hiking boots and followed the alluring signs. The public footpaths turned out to the final highlight of our honeymoon. These public rights-of-way crisscross through the breathtaking countryside. The paths string together the scattered small towns, often bisecting privately owned fields. Wooden stiles welcome hikers into the pastures where the farmer’s cattle and sheep continue to nonchalantly​ graze, looking rather amused as the humans attempt to locate the next yellow trail marker. 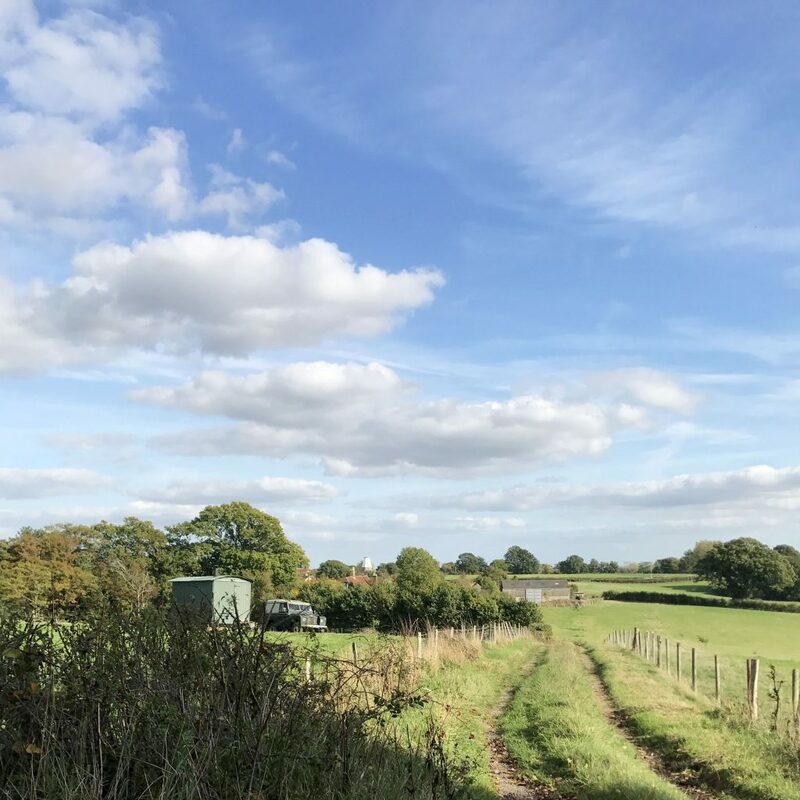 For us, these footpaths were like daily treasure hunts winding through the vast countryside, and we discovered, connecting the windmill back to Benenden and the delicious food at The Bull via a much calmer route. Wooden stiles welcome hikers into the pastures where the farmer’s cattle and sheep continue to nonchalantly​ graze, looking rather amused as the humans attempt to locate the next yellow trail marker. 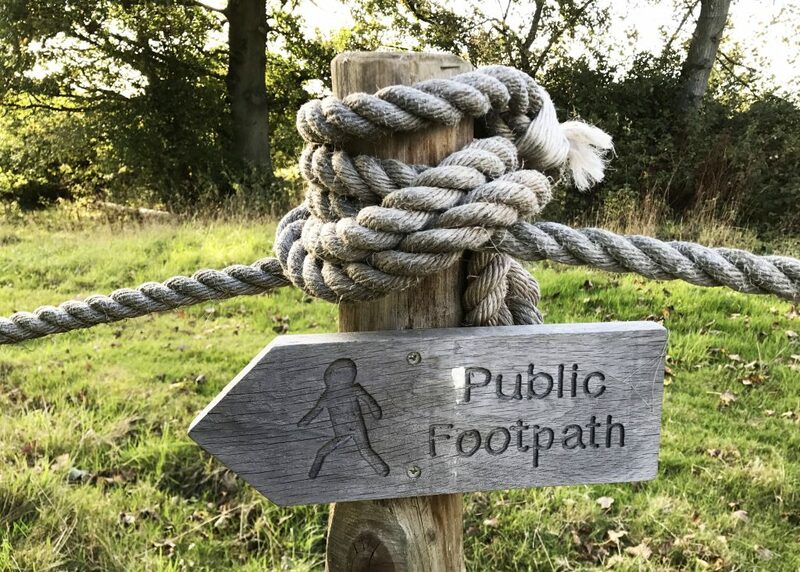 Once we were back in the States, we learned that the Public Footpaths actually stretch across the entire country, and that one of our most adventurous family members had made several of these treks herself. 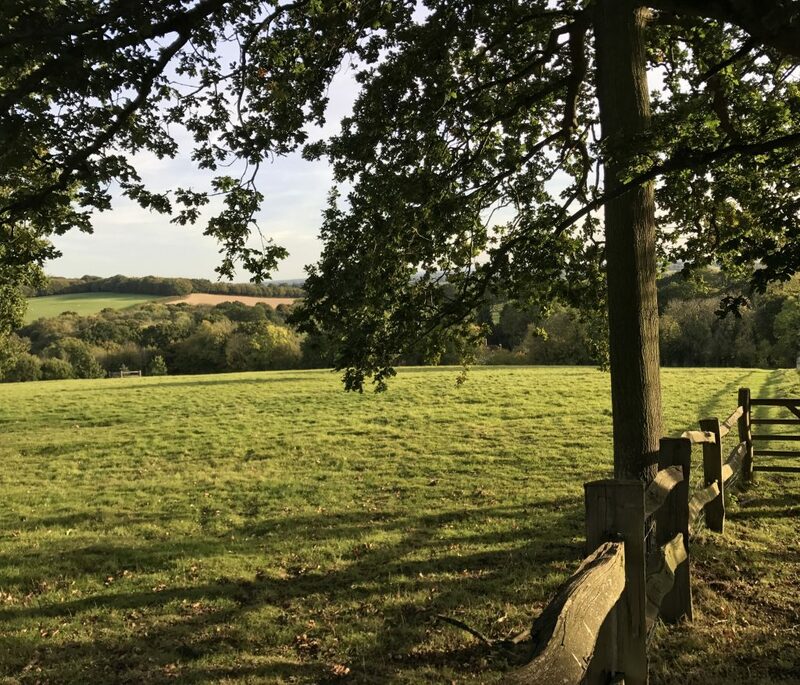 After such an incredible trip to England, we not only plan to return, but also bring our hiking gear and take our countryside strolls to the next level.